aka "First Class Mail Parcels". Small packages cover the same, low weight range as "flats" (large envelopes), but are not able to go through scanning and sorting machines because they are too lumpy, inflexible, or are just a carton and not anything flat. After 12May08, it went up to 4¢ to $1.17, incrementing 17¢. 13oz is $3.21. After 22 Jan12 it went up 24¢. Wow! No wonder they publicized only the other changes. On 17Jan2016, it was announced that the maximum 1st Class Parcel weight limit had been increased from 13 oz to 16 oz. 17 January 2016 "Notice 123 Price List", and again failed in their 10 April 2016 "Notice 123 Price List". This is because the 16 oz limit applies to COMMERCIAL First-Class Package Service, not to retail service. On 10Apr2016, the first 3 ozs went down 9¢ ($2.54 to $2.45) and the increment went down 1¢ (20¢ to 19¢). So 13oz is now $4.35. of the "exigent surcharge" of 2014, these are prices we have never had before. The roll-back is arbitrary. The starting price is arbitrary, the increment is arbitrary. There will be chosen reasons for the chosen prices, but the choices and the prices are arbitrary. before resuming the usual 19¢/oz increments. 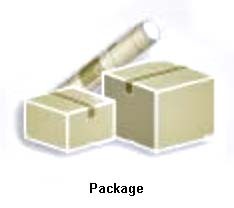 but this is only for COMMERCIAL First-Class Package Service, not retail service. On 22Jan2017, the first ounce increased 5¢ to $2.67, but this rate was extended to the first 4 oz. The increment was reduced from 19¢ to 18¢, so that the 13oz price actually dropped to $4.29. I may have missed a 2017 mid-year price incease for 1st class package service. I show $2.67 for the first 4 oz, but PitneyBowes referred to the 21Jan2018 rate of $3.50 for the first 4 oz as a 50-cent increase. On 21Jan2018, both the first and second set of 4oz weights were given the same price.